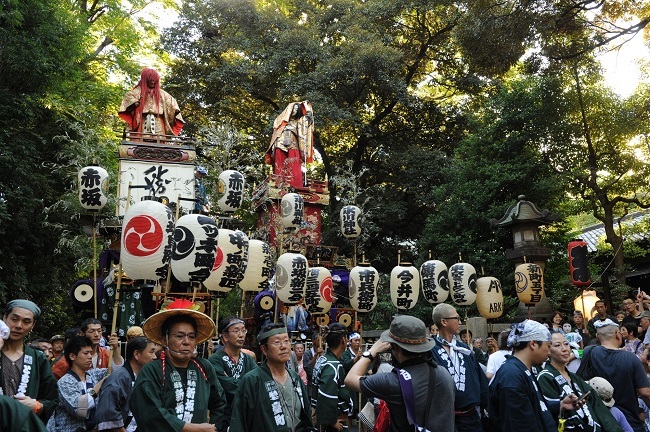 Akasaka Hikawa Festival, the annual festival (matsuri) of Akasaka Hikawa jinja (Shinto shrine), will take place soon at the shrine and in Akasaka and part of Roppongi. Akasaka Hikawa jinja is a Shinto sanctuary located in a quiet area of Akasaka, Tokyo. The main deity enshrined is Susanoo-no-mikoto, a Japanese god. 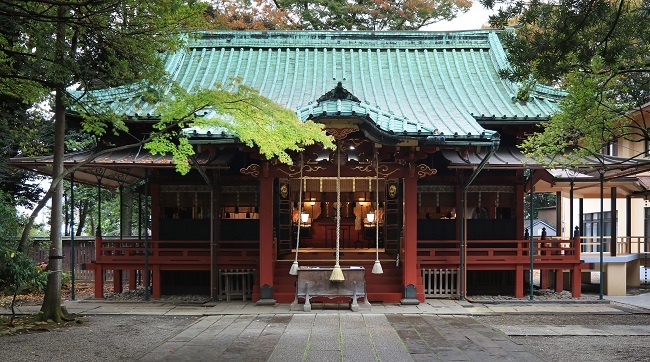 The shrine, established over a thousand years ago, prospered under the aegis of the Tokugawa shogunate. 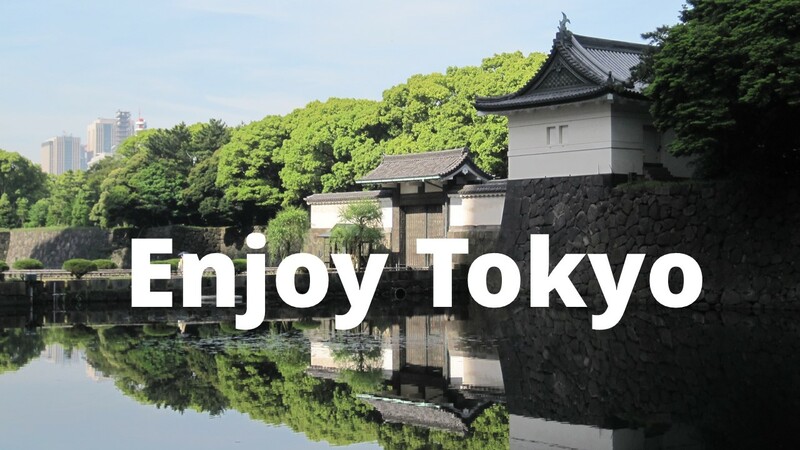 The main wooden buildings were built in 1729 by the order of the eighth Tokugawa shogun Yoshimune. 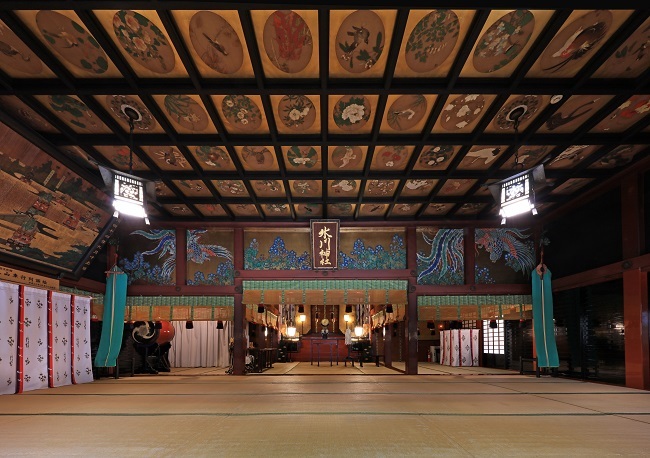 In 1730, the Shogun himself paid homage to the shrine. 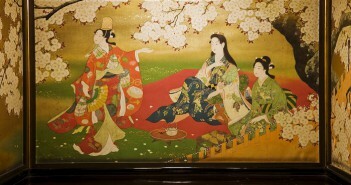 The festival keeps age-old traditions, with the feeling and spirit of the Edo period to a certain degree. 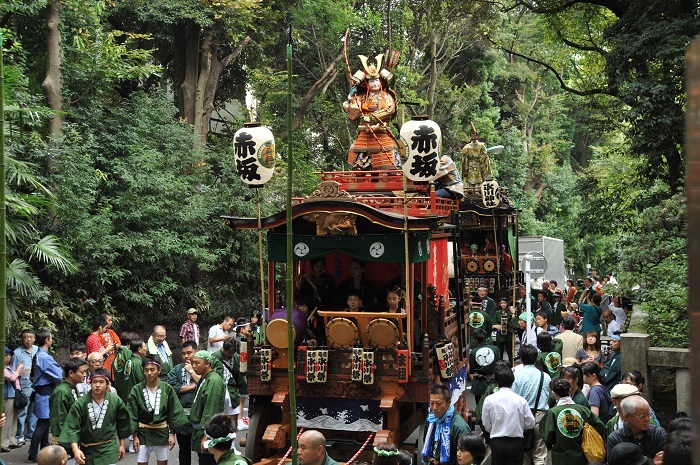 The floats (dashi) used in the procession are a few centuries old. Each float is elaborately decorated and topped with a figure. The floats and portable shrines (mikoshi) progress around the shrine’s “parish” (sort of…) with people clad in kimono and festival costumes, moving to the tune of live festive music. 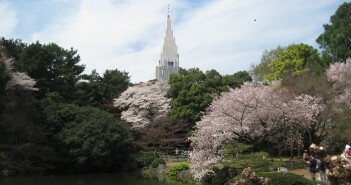 The shrine “parish” corresponds to the area of Akasaka (near the subway Akasaka Station and Akasaka-mitsuke Station) and part of Roppongi near ARK Hills. 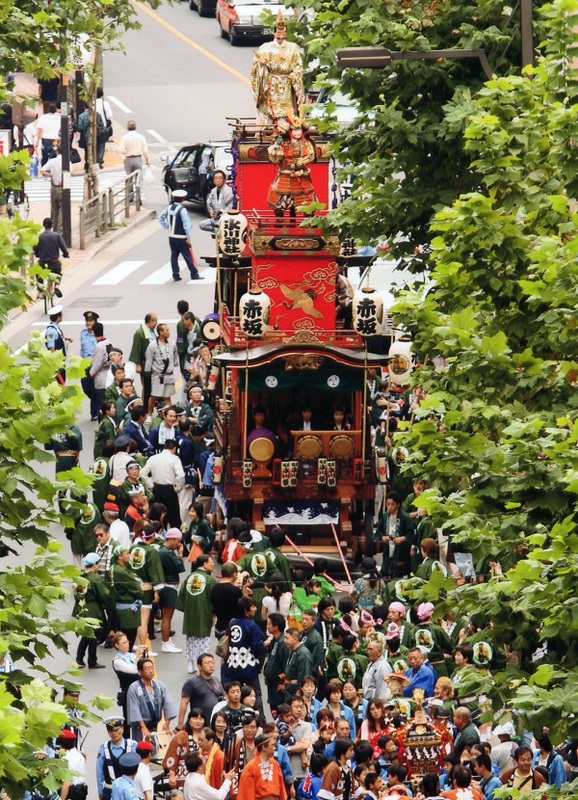 The floats and portable shrines will pass through commercial areas with smart high rises, which makes a stark contrast with Akasaka Hikawa jinja. 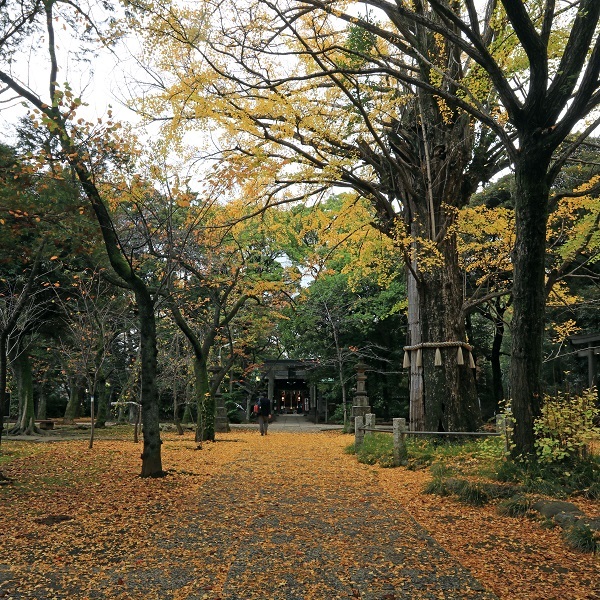 The shrine stands on a serene hill wooded with old trees, including a four-century old icho (gingko) tree. 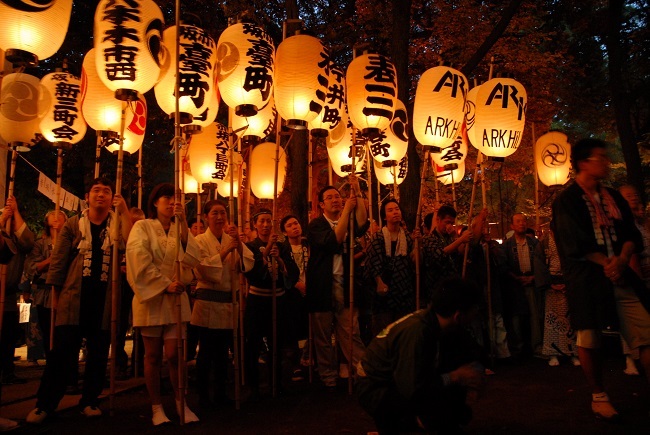 There will be a festival procession on the evening of the first day on 14 September (Friday), around Akasaka-mitsuke Station, from 6 to 9 pm. 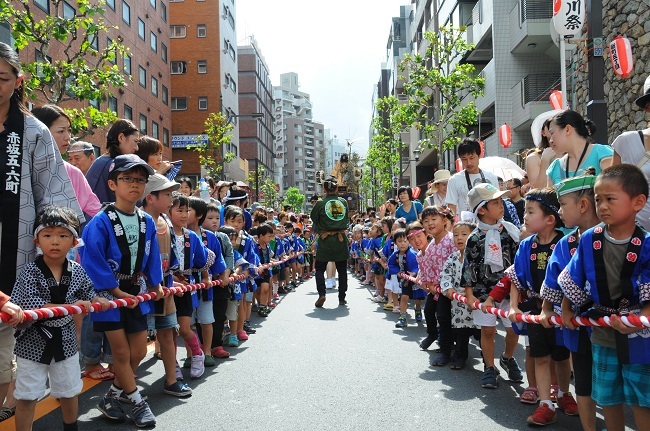 On the second day, 15 September (Saturday), the main ritual will be conducted at the shrine in the morning, followed by the processions of mikoshi or portable shrines, drawn by kids simultaneously in two sections of town, around Akasaka (1:30 – 3 pm) and ARK Hills (1:30 –2:30 pm). 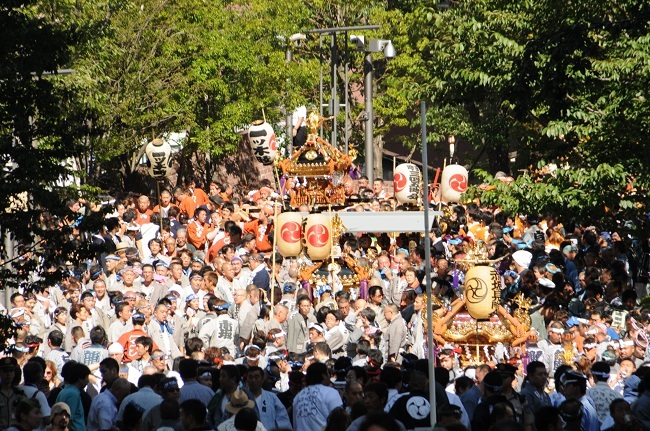 And the Grand Festival Procession will take place on the third day, 16 September (Sunday) from 10 am to 5:30 pm. 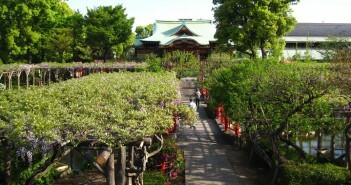 During the festival, the shrine also hosts Bon Dancing (Bon odori), festival stalls and performing arts (staged in dedication to the deities). 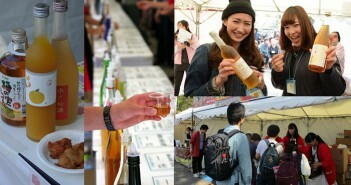 In addition to typical festival stalls, you can find on the shrine ground, Akasaka’s favourite treat offered by well-established shops and restaurants, which include drinks and wines such as Hoppy, a beer-flavoured carbonated beverage. 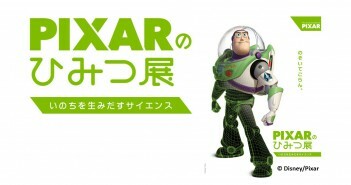 On the evenings of 13 -14 (and possibly 15) September, the town of Akasaka will be in a festive mood, around Akasaka Station on the subway Chiyoda Line. It’s a nice stroll amid live jazz music, with some restaurants and bars putting tables and chairs outside along the alleyways.